Rishabh Pant came under severe criticism during the India vs Australia ODI series after coming in as MS Dhoni’s replacement for the final two matches. Pant was slammed by fans on Twitter for his performance behind the stumps. 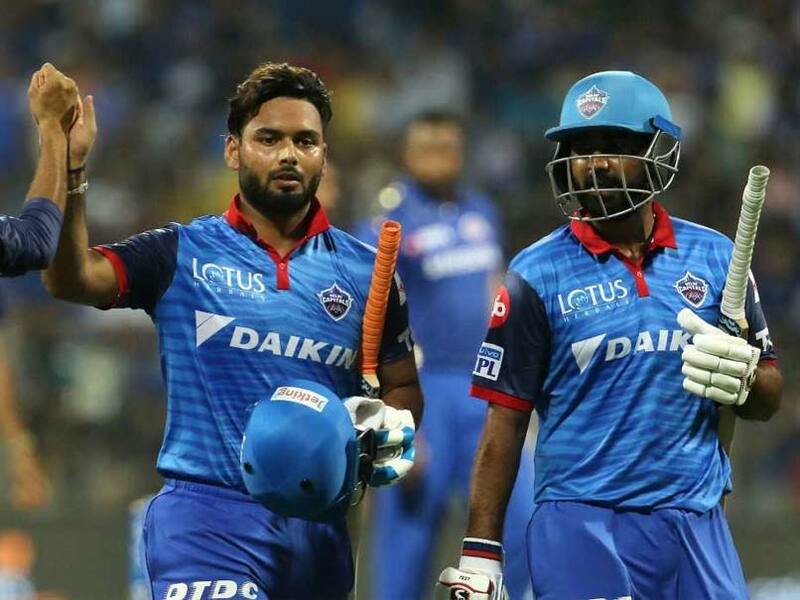 However, the youngster once again proved his naysayers wrong with a sensational knock for Delhi Capitals vs Mumbai Indians in IPL 2019 at the Wankhede Stadium on Sunday night. Following his exploits with the bat, former England captain Michael Vaughan jumped to the 21-year-old’s defence and backed him to be India’s squad for the 2019 World Cup in England and Wales. “50 off 17 balls for No idea why he keeps getting criticised In India … Just let him play the way he plays,” Michael Vaughan tweeted. Rishabh Pant took IPL 2019 by storm by smashing 78 off 27 balls to help Delhi Capitals post 213 for six in their allotted 20 overs. Pant’s knock included 7 fours and as many sixes with every single Mumbai Indians bowler bearing the brunt of Pant’s aggression. In reply, Rohit Sharma opened the batting for Mumbai Indians but failed to convert a good start, dismissed for 14 off 13 balls by Ishant Sharma. Barring Yuvraj Singh’s 35-ball 53 and a 32-run cameo by Krunal Pandya, Mumbai batsmen failed make a meaningful contribution.